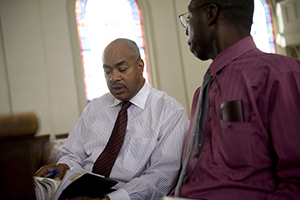 The Victory Program is the Durham Rescue Mission’s 12-month holistic program designed to help people overcome a lifestyle of addictions and return to the workforce investing back into the community. Helping others overcome addictions has always been a priority for the ministry of the Durham Rescue Mission. Dr. Ernie Mills’ personal experience with the alcohol addiction of his father led him to Durham in 1973 with a hope of reaching the addicted. Today, the Victory Program helps restore the lives of dozens of men and women throughout the Triangle suffering from alcohol addiction and drug addiction. All classes are geared toward the message of hope through Christ and the reshaping of the paradigm of how to handle the pressures and pains of life. Graduates may choose to attend school or receive vocational training, with financial assistance provided through the Durham Rescue Mission and the GlaxoSmithKline educational endowment. 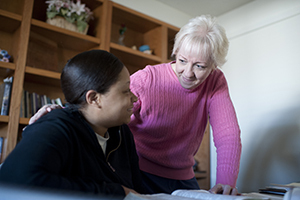 During this time, residents continue to live in one of our men’s or women’s shelters in the Raleigh-Durham area while they work to obtain permanent employment, save needed start-up funds, seek affordable housing, and continue educational and vocational classes.